The Wood Bloke started off in Lancefield in 2003 when I was cutting all my own wood, and delivering to Lancefield and Romsey. 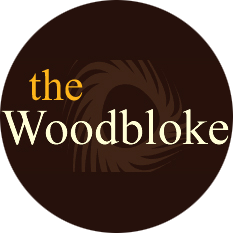 Now The Wood Bloke is heading up to 3000 customers and delivering to all of The Macedon Ranges Shire, Sunbury, Diggers Rest, Kilmore and Pyalong. I did sell by the cubic meter for about 7 years, but I sell by weight and cubic meter now. To make it all complete you will get a Tax invoice to comply ATO!! Please don’t ask for cash price with no invoice, as I do everything by the book to the best of my ability!! We now have 5 wood delivering vehicles on the road and 1 LPG gas delivering vehicle that delivers gas to Lancefield, Romsey, Bolinda, Riddells Creek New Gisborne and Monegeeta. We now accept credit card thanks to PayPal Here, and can take credit card payment over the phone.